A native New Yorker, Dr. Raymond graduated from Music and Art High School, Lehman College of the City University of New York, and earned an M.A. in Psychology from the Graduate Faculty of the New School for Social Research. Prior to continuing his training toward a Doctoral degree Dr. Raymond worked as a Master’s level psychologist for the New York State Department of Mental Health, providing direct care and supervisory services to developmentally delayed children, adolescents, and adults and their families. He received training during three intensive internships in areas of substance abuse and addictions, child and family therapy, and community mental health. Dr. Raymond broadened his East Coast theoretical psychological orientation by moving to the West Coast where he earned his Ph.D. degree in Clinical Psychology at the California School of Professional Psychology of Alliant International University in San Diego. Upon successfully completing his degree, Dr. Raymond returned to New York for post-graduate training at Manhattan Psychiatric Hospital. He also underwent extensive clinical training at the New York Center for Psychoanalytic Training, earning certification as a psychoanalyst in 1995. 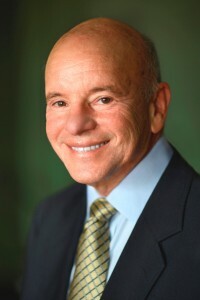 Dr. Raymond worked as a psychologist with the New York City Police Department, and as Chief of Mental Health Services with the New York City Department of Health, Prison Health Services. During that time Dr. Raymond received training in forensic psychiatry by attending a two year intensive program of weekly lectures by prominent forensic psychiatrists, and observing Expert Witness testimony in criminal and civil matters. Dr. Raymond became a Medical Specialist with the Office of Disability Determinations, providing evaluation, oversight, and final case review services in assessing the eligibility of claims for benefits. Dr. Raymond was appointed to the medical staff of Barnert Memorial Hospital in Paterson, New Jersey, where he conducted evaluation and treatment services on the inpatient psychiatric unit. He provided supervision to the clinical staff of the hospital’s community based outpatient treatment programs for sexually abused children and adolescents and youthful sexual abuse perpetrators. Dr. Raymond has consulted with New Jersey based programs for incarcerated adult sexual offenders, he has consulted at the New Jersey Passaic Youth Detention Center, and he provides ongoing mental health services at Preakness Healthcare Center in New Jersey. Dr. Raymond is a Licensed Psychologist in New York and New Jersey. He is a Certified Marriage and Family Therapist and Certified Psychoanalyst. 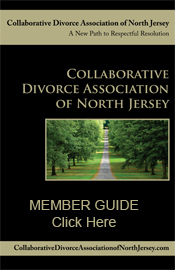 Dr. Raymond is a Founding Faculty Member of the New Jersey Couples Therapy Training Program at Fairleigh Dickinson University. He is a faculty member of the Center for Psychotherapy and Psychoanalysis of New Jersey. He has supervised Master’s level candidates at John Jay College of Criminal Justice of the City University of New York, and he supervises Doctoral level candidates at the Ferkauf Graduate School of Psychology of Yeshiva University. He has taught graduate level courses at Long Island University, and Lehman College of the City University of New York. Dr. Raymond supervises colleagues in clinical and forensic practice.